We are an equal opportunity employer and believe in our employees being our internal customers. Joining our team, it can feel like the opportunities are endless. Our diverse businesses span a wide range of industries and disciplines. 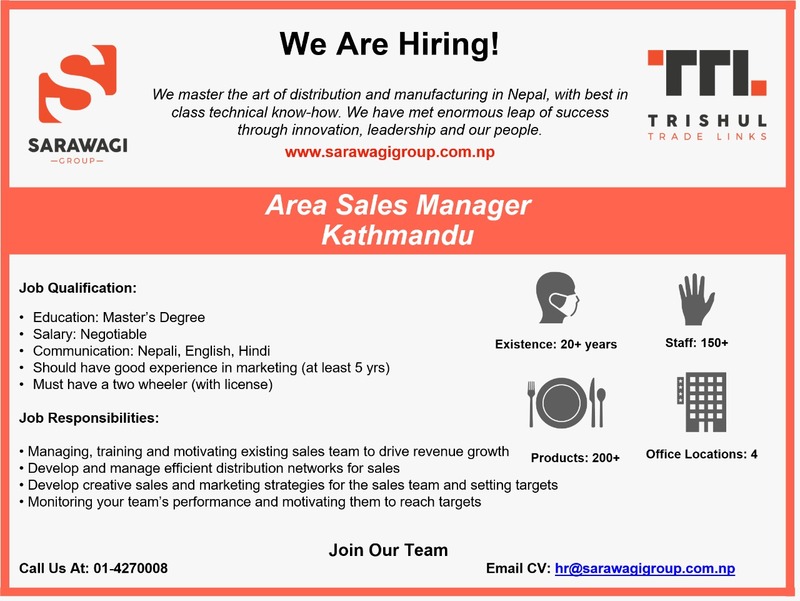 No matter what you want to achieve, at Sarawagi group you can find the way to pursue it. Our goals and environment enhance, enable and support your ambitions and expectations. Together, they create the responsible, ethically led business that Sarawagi group is today. With ideas, energy and the ability to build effective relationships, you can make a lasting contribution. 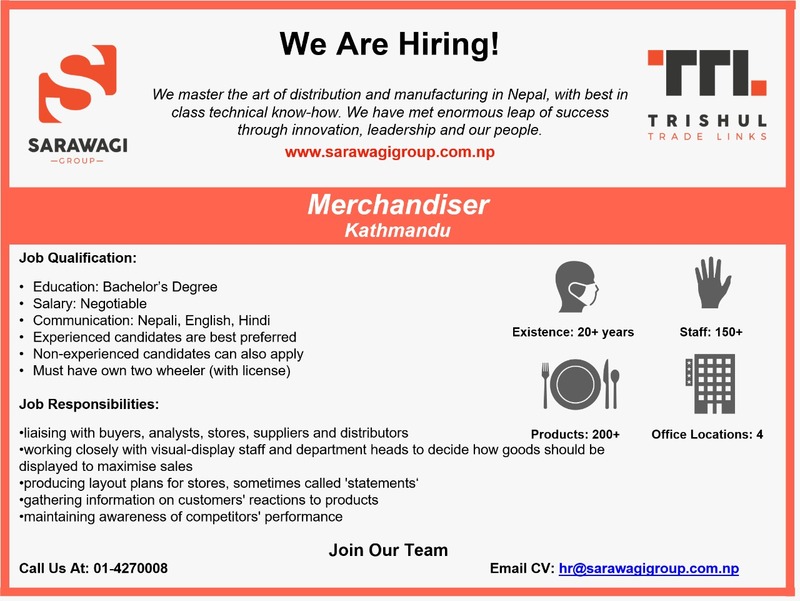 If you are looking to take the next step in your career then join our team to build skills and unlock new opportunities in the Food and Beverage Industry of Nepal and apply for any role that is open with us. Or else, feel free to apply for any other roles that you think might suit you.